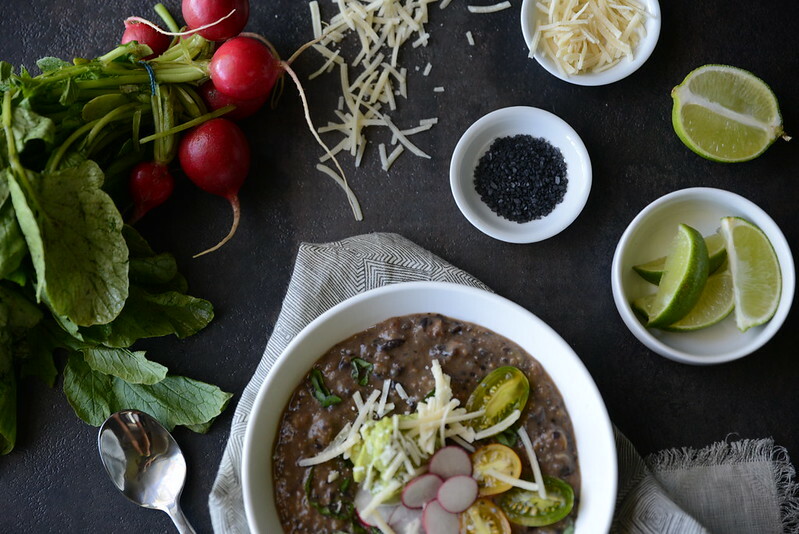 Black beans have always been a staple in our diet because they are so versatile and easy to incorporate into meals. They are packed with fiber, protein, disease fighting antioxidants, and they are high vitamins and minerals including folate, copper, thiamine (vitamin B1), magnesium and iron. 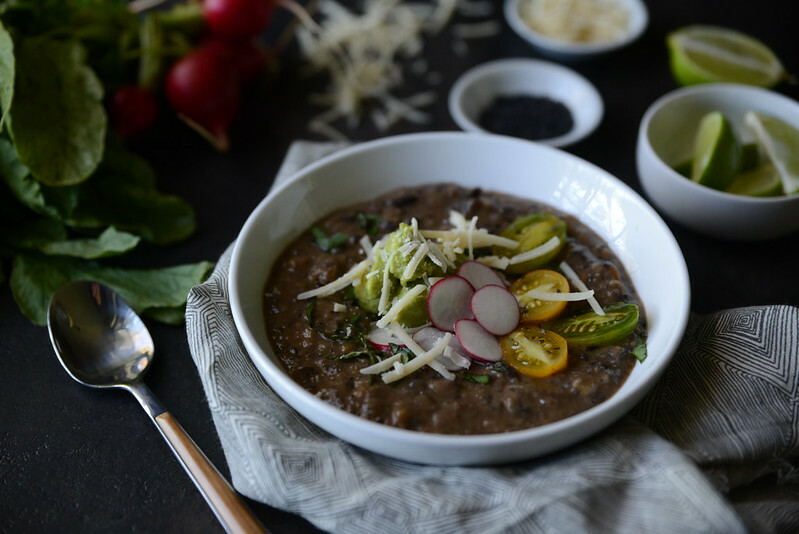 Studies have linked the benefits of eating black beans to the prevention of inflammation, heart disease, weight gain, diabetes, cancer and nutrient deficiencies that are often present with the Western diet. In other words, they are a healthy choice that should be added into your diet. And guess what, blacks beans ARE allowed on the SCD (Specific Carbohydrate Diet) BUT make sure you try them when you are symptom free of any gastrointestinal issues. In fact, you should be symptom free for at least three months before adding black beans into your diet. It is very important that you refer to the book "Breaking the Vicious Cycle" and study the proper preparation for black beans. In order to aid in healthy digestion, black beans MUST be soaked for at least 10-12 hours, rinsed extremely well and then cooked. Canned beans are a no-no and should be avoided. While doing some research on the digestibility of beans, I came across some fascinating information on resistant starches and their association with healthy benefits that some starches provide. Basically, resistant starch is a type of starch that isn’t fully broken down and absorbed, but rather turned into short-chain fatty acids by intestinal bacteria. 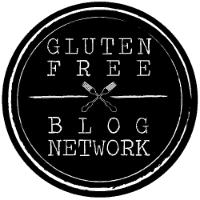 Most starches are broken down by enzymes in our small intestine into sugar and then absorbed into the blood, which, to my understanding, is why most starch is not allowed on the SCD diet. When the starch breaks down into sugar in the small intestine, the bad bacteria then feed off of it and eventually overtake the good bacteria. But it turns out we can’t fully absorb all kinds of starch. Some starch, the resistant starch, is not fully absorbed in the small intestine. Instead, the resistant starch makes its way to the large intestine (colon) where the intestinal bacteria ferment it. Resistant starch may help to lower cholesterol, can improve immunity by aiding the production of immune cells in the gut and can possibly improve and aid in overall digestion. Honestly, I can continue to go on and on about starches and sugars and molecular structures and how they impact the gut micro biome. I'm starting to wonder if the possibility of pursuing another degree is in the equation because food nutrition absolutely fascinates me. But back to resistant starches (RS), this article sums it up well. And if you like to read studies, which my nerdy self does, I find this study interesting because it evaluates the RS content of raw beans versus cooked beans. 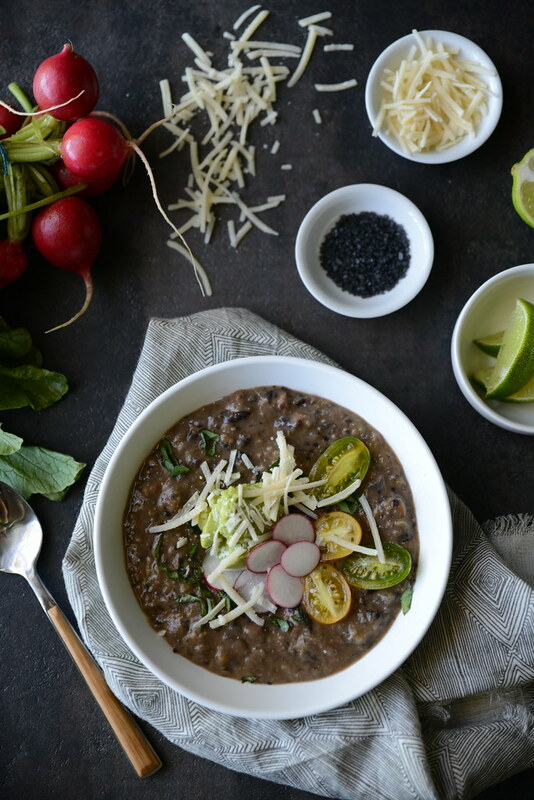 This healthy black bean soup is simple to make, full of flavor and very filling. My kids love to add their own toppings and sometimes we even add a poached or fried egg for extra protein. 1. Place the beans in a pot, cover with cold water, and allow to soak for 10-12 hours. Drain the beans and rinse with cold water. 2. In a large pot or Dutch oven, heat the coconut oil over medium heat. Add the diced onions, peppers, celery and carrots and sauté until tender and fragrant. 3. Add the beans and bone broth. Bring to a boil, then reduce the heat to low, cover, and simmer for about an hour. 4. Add salt, chili powder, cumin, paprika, saffron, turmeric and honey. Stir. Cover and continue simmering for another 25 minutes or longer until desired consistency. We like our soup a bit thicker. 6. Serve soup in a bowl and top with sliced radish, parmesan cheese, avocado and/or micro greens. Top with a squeeze of fresh lime juice.